A Staten Island man faces charges in connection with a deadly charter bus crash. Ray Villeda reports. 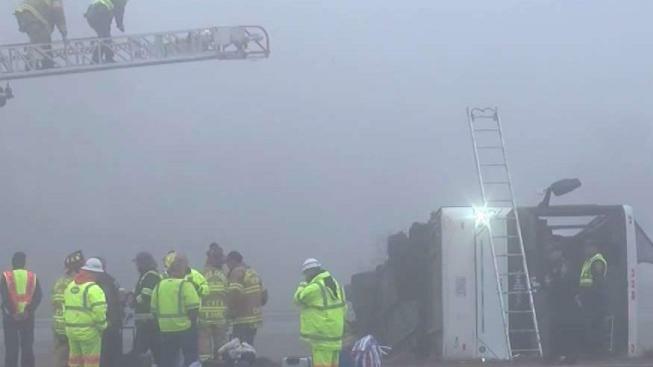 One of the two people killed when a charter bus bound for New York flipped over on a Virginia highway ramp Tuesday has been identified as an 81-year-old woman from Queens. Virginia State Police said Wednesday her name was Janetta Cumberbatch, and she lived in Jamaica. One other person, an adult male, also died in the crash. Authorities identified him as Su Feng Xu, 37, a Chinese national. Dozens more, including kids, were hurt. Bus driver Yui Man Chow of Staten Island has been charged with two counts of involuntary manslaughter in the crash, Virginia State Police said Tuesday. 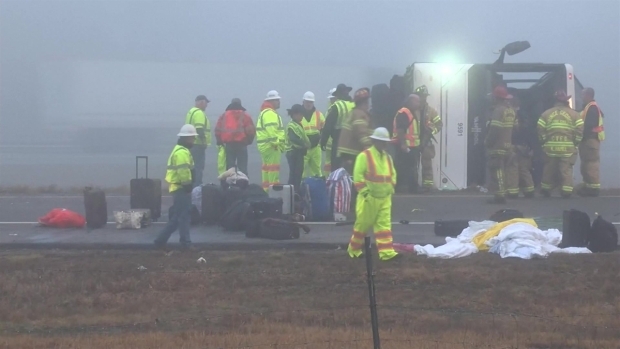 At least two people were killed this morning in a charter bus crash on northbound I-95 in Prince George, Virginia. The bus was going from Florida to New York. Monique Berry, of Harlem, described the crash for news outlets at a reunion center for survivors. The bus departed from Orlando, Florida, and stopped in Rocky Mountain, North Carolina, to switch drivers, police said. It was headed to New York City when it crashed.